Earlier in the week I wrote an article introducing the Intel IoT Edition Developer Kit which is a pretty cool kit made up of an IoT shield, sensors/wires and software for the Intel Galileo Gen 2. As I mentioned in that article there are many different tools out there that allow developers to create devices and applications that connect to the Internet of Things, these include development boards (Micro Controllers), shields, sensors, libraries developer kits and platforms. Another very popular development board that is notorious for not only developing on, but using as a lightweight replacement for PCs is the Raspberry Pi. The Raspberry Pi is a miniature PC that is almost the size of a regular debit card. As mentioned before, most people will probably know about them as a cost effective replacement for a PC, but these devices are so much more than that an a keystone in development for the Internet of Things. With the Intel Galileo, you are pretty much restricted to the Yocto image, unless you want to bang your head against a brick wall for a long time trying to find a poorly put together image that would allow you to use your favorite OS on the board or building your own. The Raspberry Pi is a lot more flexible and I must say, despite still being dedicated to the Intel Galileo, I prefer the Raspberry Pi. Supported OS are Noobs and Raspbian, Raspbian includes Jessie and Wheezy which are based on Debian. There are also many other 3rd party images that you can download and try out. There are two main IDE's that you can use for the Raspberry Pi these are Adafruit WebIDE and Eclipse RaspberryPi. You download these two IDEs directly on to your RaspberryPi rather than running on an external device. I have actually moved away from using IDE's for IoT development on any board where headless access is possible, the Raspberry Pi is one of those boards. 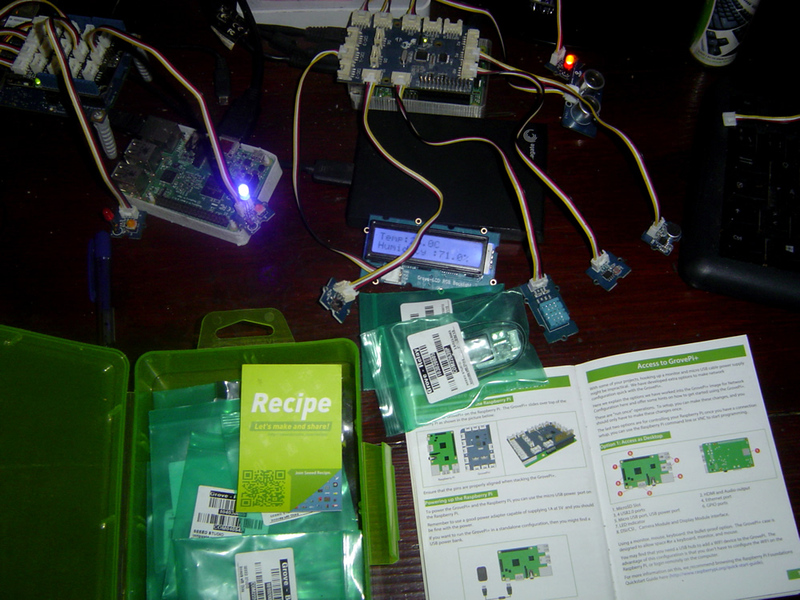 Like the Intel Galileo, there is also a developer kit available through Seeed Technologies. This kit is very similar to Intel IoT Edition Developer Kit and includes many of the same sensors. 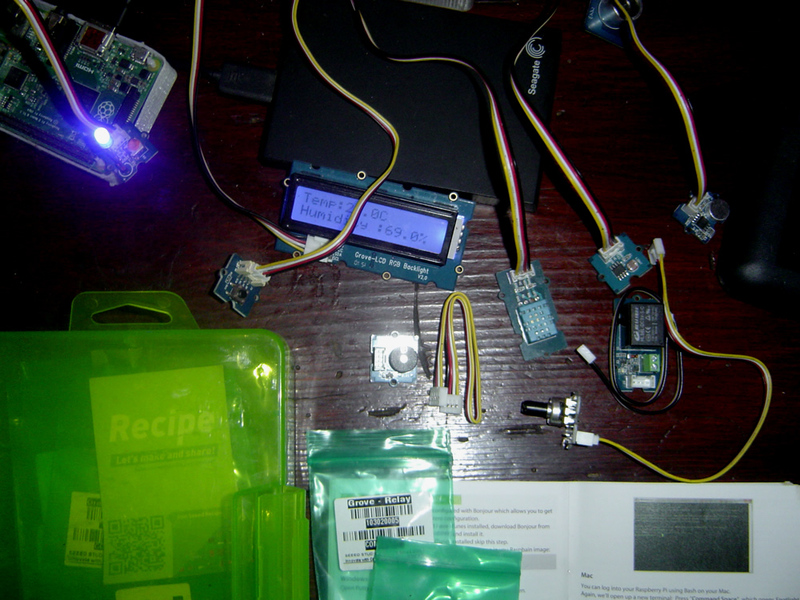 The kit includes 12 Grove sensors and example software to get you started. 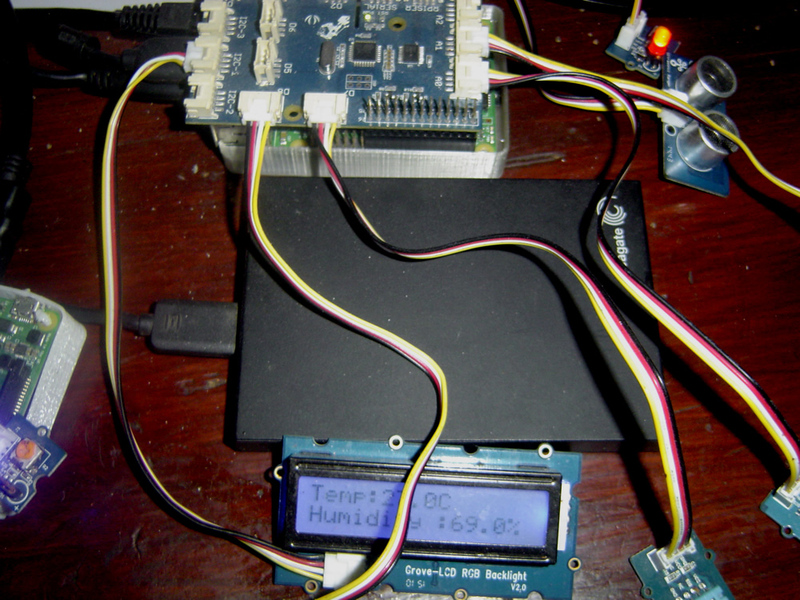 To get started with your dev kit you either use the SD card provided by Grove if you have one, download and install directly on to the board, or burn your own image to an SD card. To connect up your sensors to the board you simply attach the shield and connect your sensors to the relevant board. The Github account provides you tutorials on how to start programming applications that manage your sensors using digital and analog signals. Again there are many different projects you can build with this kit and it is totally fine for beginners and advanced programmers alike. 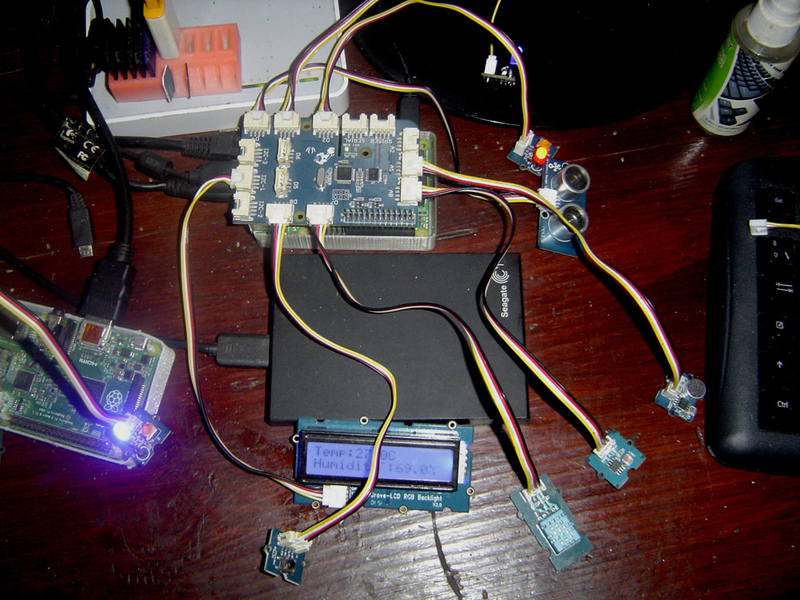 One of my favorite projects I have built with this kit is the IoT JumpWay. 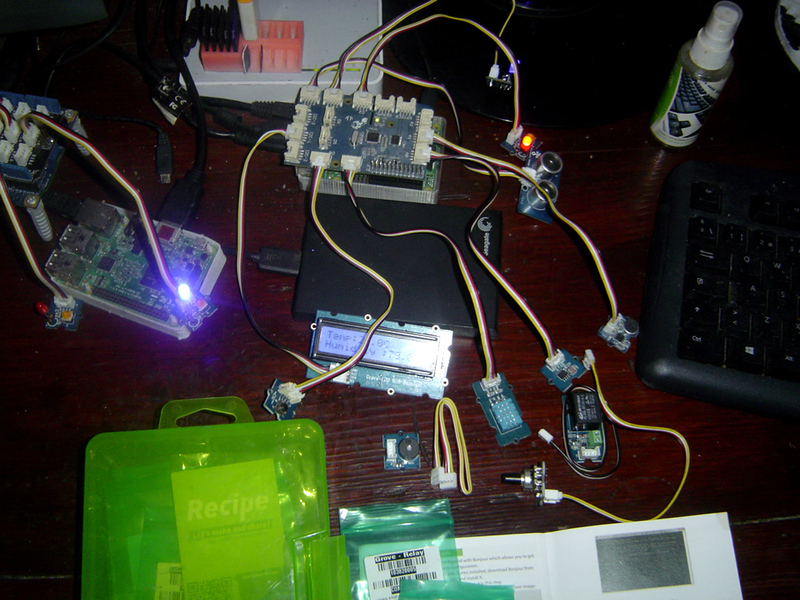 This device is an IoT Gateway including an IoT security system utilizing the sensors from this kit. 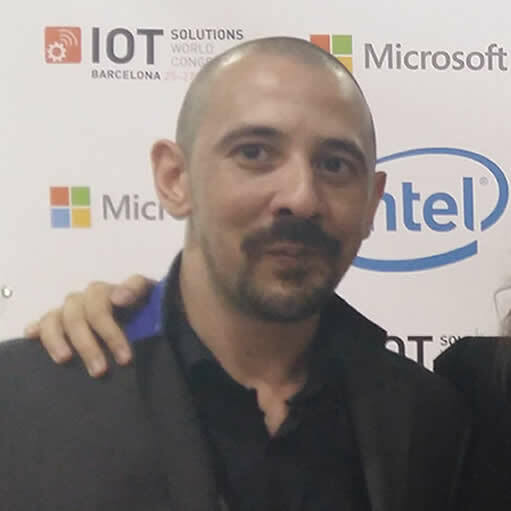 The gateway also acts as an MQTT broker which authenticates and distributes data and commands to and from other devices I have built on my network including TASS which was built using the Intel IoT Edition kit. 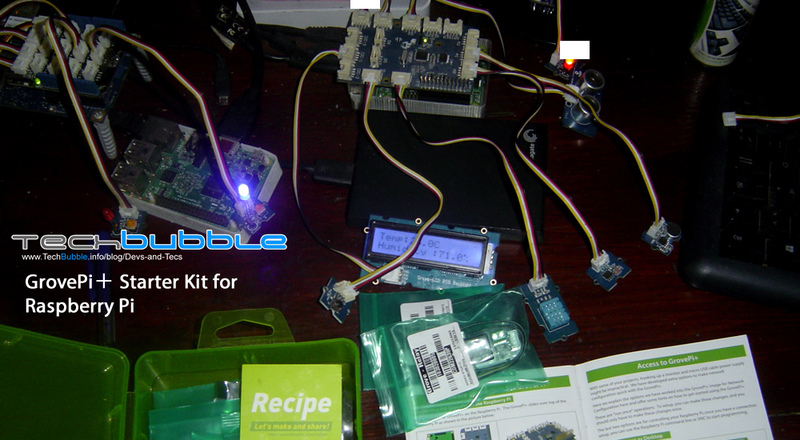 If you have used the kit to build applications feel free to share them on this page or our social media platform. Below are some photos of the dev kit for you to check out.